Will Social Search Connections Replace Traditional Anchor Text Links? Social sites like Facebook are pulling in major search traffic. Might they soon replace sites like Google? With the search traffic they pull in, are social sites soon to replace Google? 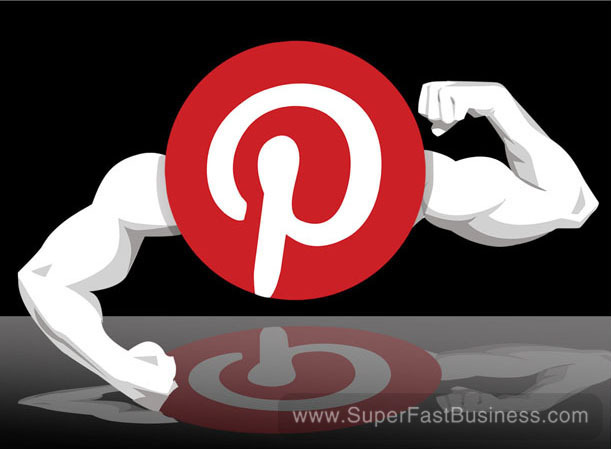 01:14 – Pinterest gets more traffic than Yahoo? There’s big talk that Facebook users are doing billions of search inquiries every week leading to speculation that at some point, Facebook is going to really make a push into that search engine zone. Now, I mean we’ve seen Google try this with Google+ and trying to get social because they recognize this is a huge threat and I think Facebook have the users and they have people on there already. So what does this mean for you? Your action step is to make sure that you’re tying in social to your business and especially Facebook. That platform is extremely strong. Most people are on it so put your social sharing icons, participate on Facebook and make media that is easy for people to share because all these signals are going to come into play and eventually, people are going to be searching for things on whatever platform and they’re going to be seeing what their friends or people in related fields also recommend and that’s going to carry a lot of weight in terms of click-throughs and conversions. It’s all going to be based around connections so connect with customers. Speaking about connections, images are something that really connect people together, there’s a lot of emotion in them. Apparently, Pinterest is now outstripping Yahoo for search volume. We’ve been talking about Pinterest every few weeks and watching it grow. I’ve put huge effort behind images. You see original images going up on my sites every day. We’re now even building sites that just host images and allow images to be syndicated, and I think what you should do as your action step is make sure you have a great piece of content in the form of an original image, some kind of diagram, mind map, research data, new cartoon or illustration, or something that your customers can resonate and importantly, something they can share. When they’re sharing this, and find it useful, you’ll find that it goes across several places. I’ve found some images on my Facebook get shared fifty, sixty, eighty times so images are a great way to transport your message in front of other people; so it’s one of the best forms of content to be focusing on. Ok, so exact match domains, I think the days of exact match domains are starting to get a bit thin and that’s purely because anchor text backlinks are being de-valued a little bit. What we really want now are connections between our content and the perfect target audience that we have wherever that is. So what should we be doing as our action step? Well firstly, create your “brandable”, make sure your design is good and your brandable domain names are strong. I like brandables that actually combine one keyword, SuperFastBusiness Traffic Services, for example. It talks about SEO which is what we do but it also has that partner connotation that we will help you with your SEO and it’s something people recognize, they look for, conversions go up, it’s got a nice trust factor to it. We have customers go and search all around and then come back to us and say, “We just love what you’re doing”, and once that brand builds reputation, it supersedes someone just going to the search engine typing in a phrase around what it is they’re looking for. So brandables are the way to go forward. Ok, so if we can’t just do link building of anchor texts what should we be doing? We should be creating high value content that we can put out there, that resonates with our perfect audience that they connect with. We do it with blog posts, fresh meaty blog posts, pictures, audio, do podcasts, interviews, make videos, put them on You Tube, share them, put them on social places. You want to put your RSS feed out there. Make your RSS feed interesting. There are still plenty of people, myself included, who gather information via RSS, so put an html back link in your RSS feed that brings people to your news and have them join your news list. Get them onto your list so that you can keep sending them to the most relevant content that is just right for them and connect with them and encourage them to share it and comment just like I ask readers quite often, please make a comment right near this video, something that you’ve implemented as a result of the information contained in this video. Get it to any kind of forum or guest posting, or posting on authority blogs and communities, Facebook walls, where your customers are, where your perfect target demographic is, and be known to them, be brandable, connect with them. Get that quality out there and you’ll have a great SEO campaign. SEO ultimately is about ranking well for your target audience and currently, Google’s the big King Kong but I really can see platforms like Facebook becoming just as strong, and whatever the game is, it’s all about quality, it’s about longevity, and if you’re going to master one thing, be a master of change because if you put that content out there, the places that you need to syndicate it will change. The target customer you have overtime might change but if you have a solid process, then you’re going to be in great shape. I’ll catch up with you next week. Please leave your comments below. I do read and respond to all of them. Thank you so much for the positive feedback you’ve already given. As always James you provide great info and this is exactly what I have been trying to tell local business owners I meet. You hit the nail on the target with where Seo is heading and the social connection aspect. Also in regards to change some people hate or resist change. Thanks again I have no problem sharing this. Akil thank you. Your local business customers are in great hands! thx for that, james, very straight! do you think it’s possible to be sucessful in internet-business without joining facebook? sure you can do it without facebook. Consider also that YOU can collect data from it too. Thanks James, what I like about your method is the diversity. This way you do not rely on 1 source of leads like Google. True – you need to have multiple traffic streams to protect your business from change. I like your style and presence on the video. I will be following more of what you do.